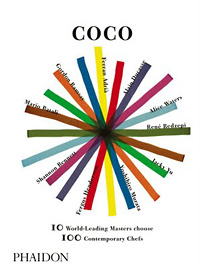 With Coco, publisher Phaidon Press has created a must-have reference for professional chefs, instructors, culinary students and culinary enthusiasts. To compile this list of who’s who in the international culinary scene, the editors asked 10 World-Leading Masters of the art to select and profile 100 of the best emerging chefs from around the world.The 10 chef-curators are: Ferran Adria, Mario Batali, Shannon Bennett, Alain Ducasse, Fergus Henderson, Yoshihiro Murata, Gordon Ramsay, Rene Redzepi, Alice Waters and Jacky Yu – an impressive line-up. Arranged alphabetically (it’s not a contest after-all), Coco gives a brief profile of each chosen emerging chef (nice insight into their background and origins of their passion), a sample menu from their featured establishment, along with images of their restaurant, finished dishes and sampler of recipes. Each profile features some insight from their ‘curator’ who selected the chef as to why they have been chosen and discusses particular dishes or experiences that have made a significant impression on them. There really is not a dull page or entry in the lot. Every page brings a new surprise; some of the names are recognizable and familiar faces while others are new. All bring a singular passion and something unique to the book. This impressive book will be indispensable to those chefs wanting to make future lists and editions! 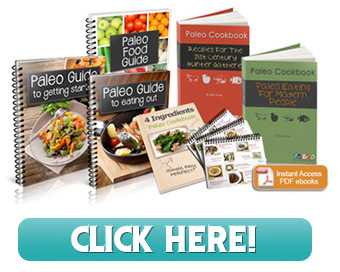 As a cookbook there are some dishes here that will be out of reach for non-professionals, however, there are ample to help home cooks hone their own skills. It really is a fantastic behind-the scenes peak into the world of cutting edge kitchens.